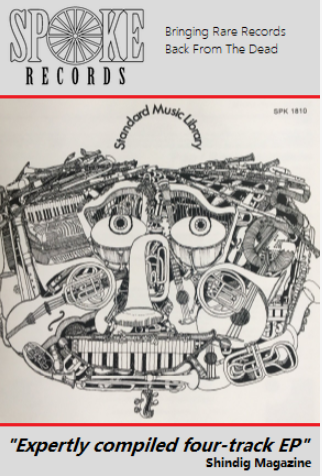 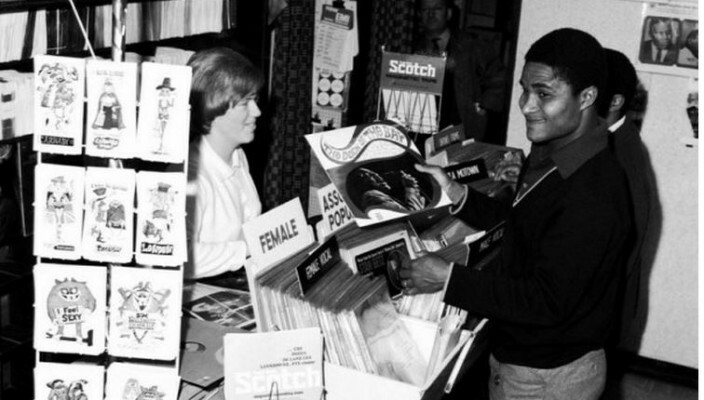 Recently a picture of Jimi Hendrix in a record shop featured on the official poster to promote the annual Record store day. 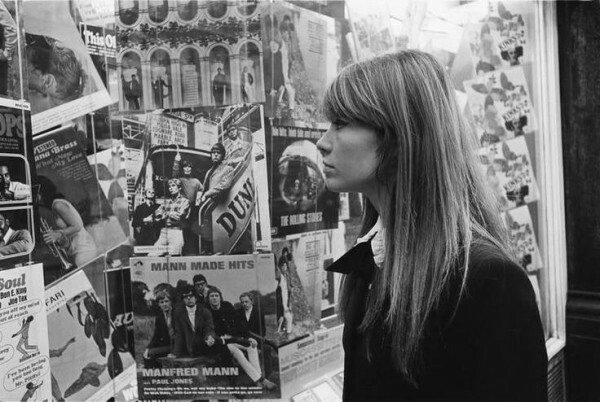 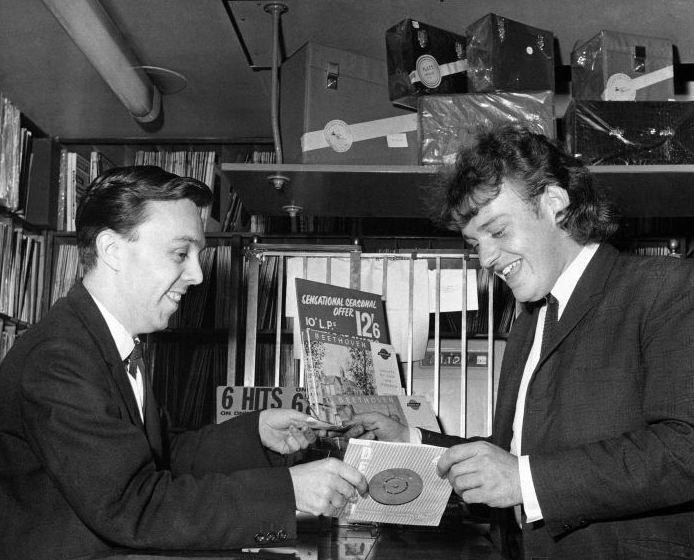 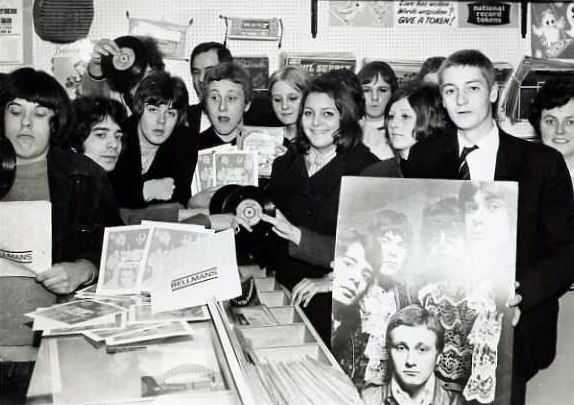 So we thought we’d have a dig around for some more photos of stars from the swinging sixties hanging around in various vinyl emporiums. 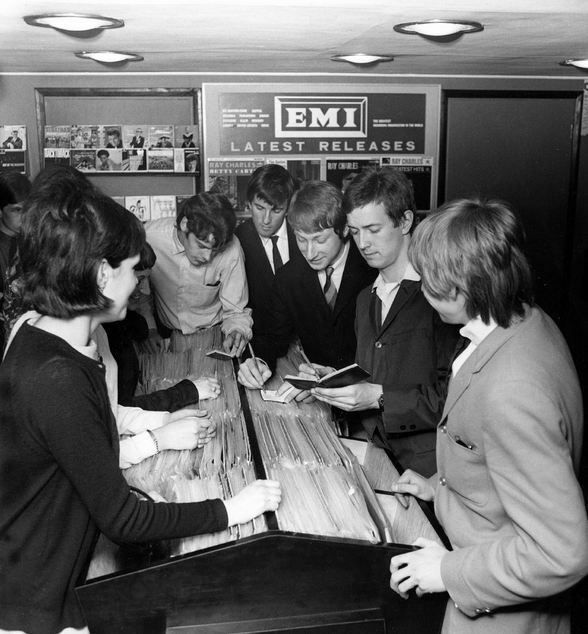 We start off in Brighton with the band Love Affair meeting eager fans and promoting their single Everlasting Love. 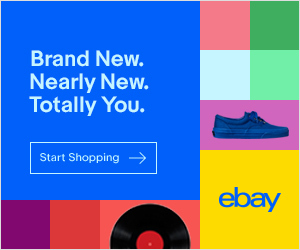 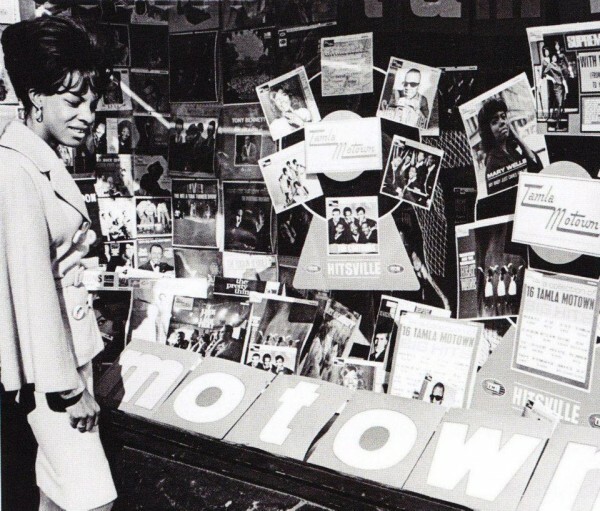 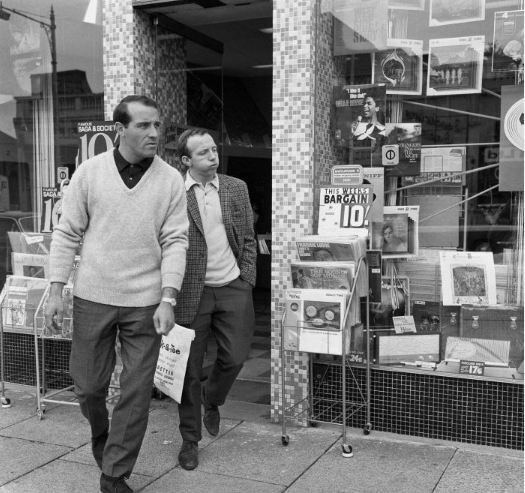 Then we head to London where Martha Reeves is Motown window shopping, The Yardbirds are signing autographs, Joe Cocker’s buying his own single and footballers Nobby Stiles and Ron Springett take a break from the World cup to do a spot of record buying in Golders Green. 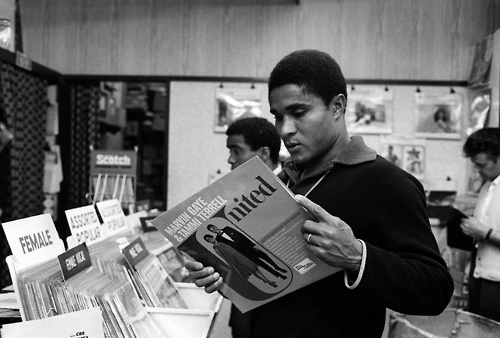 Then it’s off to Harlow in May 1968, where Portuguese footballer Eusebio is checking out the latest Otis Redding and Marvin and Tammi albums at the Startime record shop. 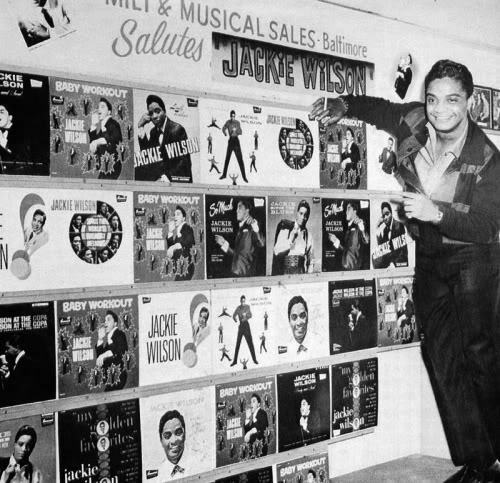 And then we go over the pond to Baltimore where Jackie Wilson poses with his own wall of sound.